If this year's CES is any indication, 2010 is the Year of the Tablet PC. Practically every major consumer tech company is coming out with something thin, touchable, and Twitter-friendly. The evolution of the tablet PC is similar to that of the laptop computer, the netbook, and the smartphone: Companies aren't so much selling us a better computer as they are selling us new ways to use computers. However, consumers want something more portable than a laptop, more powerful than a netbook, and more comfortable than a smartphone--and a new tablet PC could very well fill all of those needs, in many different ways. People who love their e-readers but want something a little more versatile would likely love the Adam by Notion Ink, for example, while fans of touchscreen smartphones should pay close attention to Dell's concept Android tablet, which could offer similar Internet functions with a much more comfortable user experience. To see what the burgeoning tablet PC market might be able to offer you in the near future, read on for a comparison of the newly announced tablets from HP, Lenovo, and Sony, as well as a look at some of the almost-announced tablets on the horizon. Most likely, none of these products will be able to replace your main PC--but one of them just might scratch an itch you didn't realize you had. HP's as-yet-unnamed tablet is undoubtedly the star so far, considering that Microsoft CEO Steve Ballmer demoed it at the CES 2010 keynote. 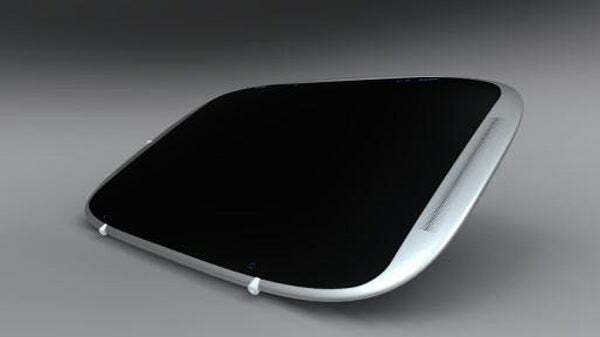 Some tablet enthusiasts were disappointed because it wasn't the rumored Microsoft "Courier" dual-screen tablet prototype that leaked in September 2009, and in Ballmer's brief demo we didn't see any game-changing features. At this point, though, HP's tablet seems poised to define the standard tablet PC experience. We do know that the HP tablet runs Windows 7, supports multitouch gestures, has an accelerometer to change the display's orientation automatically, and is due out in mid-2010 for under $500. More info: Read our coverage of the HP tablet demo at the CES keynote, or check out one writer's take on the HP tablet announcement. Lenovo's Ideapad U1 touchscreen laptop/tablet has been turning heads at CES--probably because it can take its own head off. The Ideapad U1 starts out as a 3.8-pound laptop that runs Windows 7 on a Core 2 Duo CULV processor and a 128GB solid-state drive, but removing the 11.6-inch display lets you use it as a stand-alone Linux tablet PC, powered by a 1GHz Snapdragon ARM processor with 16GB of flash memory. Once detached, the base of the PC becomes a 3G wireless hub for the tablet, ensuring that you keep your Internet connection. Lenovo's Hybrid Switch software handles the move between the main processor and the tablet processor, so users should be able to start browsing a Website in laptop mode and continue where they left off after they detach the tablet. Lenovo's Ideapad U1 hybrid PC is due out on June 1 for less than $1000. 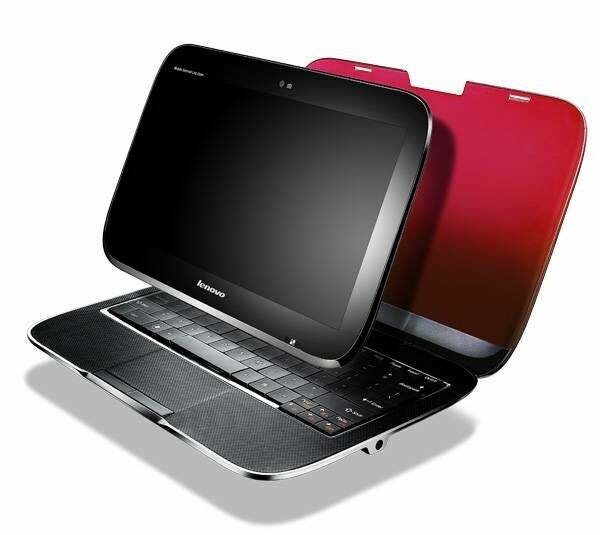 More info: Watch a video of the Ideapad U1 in action, or read about Lenovo's announcement. While HP's unnamed tablet and Lenovo's Ideapad U1 are headed in a general-computing direction, Sony's Dash is taking a different tack. Sony is calling the Dash a "portable Internet device," and the product takes more inspiration from the Chumby Internet appliance (in fact, Sony collaborated with Chumby in developing the Dash) than it does from any previous tablet PC. With a Dash, you can stream media from Sony's Bravia content networks or attached USB devices onto its 7-inch, 800-by-480-pixel touchscreen, and listen to it through the built-in speaker or the standard 3.5mm headphone jack. You can also access the Internet over the Dash's Wi-Fi 802.11b/g connection using the included apps, or you can grab your own choices from among its library of over 1000 existing Chumby apps. The unit has no built-in storage space--the Dash is meant only for accessing the Internet. It supports multitasking, however, so you should be able to listen to Pandora while updating Facebook (or reading PCWorld). It will be available for $200 in April. 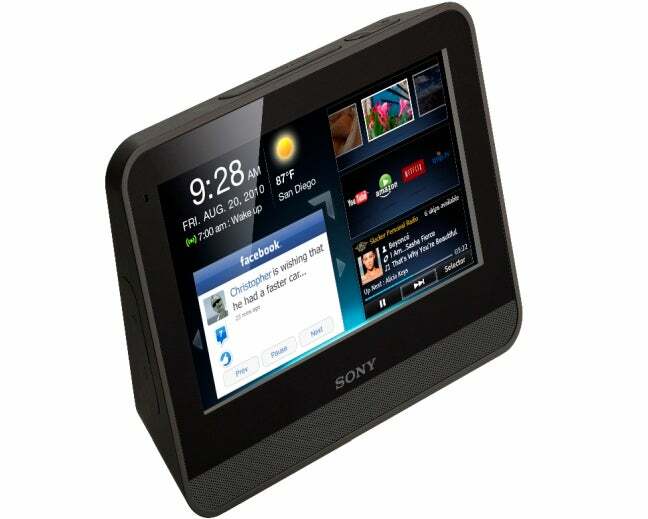 More info: Check out our coverage of Sony's announcement or stop by the Sony Dash product page. Of particular note is the 10.1-inch Pixel Qi display, which could potentially stretch the Adam's battery life far beyond that of other tablet PCs, especially when combined with the power-efficient nVidia Tegra chip. No news yet on a shipping date, but the price is expected to be less than $400. More info: Read about the original Notion Ink Adam announcement. Despite appearing at Steve Ballmer's CES 2010 keynote, the Archos 9 PCTablet didn't get any love. That's probably because it actually debuted in mid-2009, and a few preorders have already shipped, though it's not expected to hit general retail channels until the first quarter of 2010. Unlike the rest of the tablets at CES, the Archos 9 PCTablet is more like a 9-inch, 1024-by-600-pixel touchscreen UMPC that runs Windows 7 Starter Edition; it's powered by a 1.1GHz Intel Atom Z510 processor. The PCTablet also packs a 60GB hard drive and 1GB of RAM, offers networking via 802.11b/g Wi-Fi and 100-mbps ethernet, and has USB 2.0, microphone, and 3.5mm audio ports, as well as a 1.3-megapixel Webcam. Considering that the Archos 9 was first announced in June 2009, specs-wise it doesn't seem capable of hanging with all the new CES-announced tablets when it finally ships in early 2010. Preorders cost around $750, but retail pricing is still undetermined for its release. 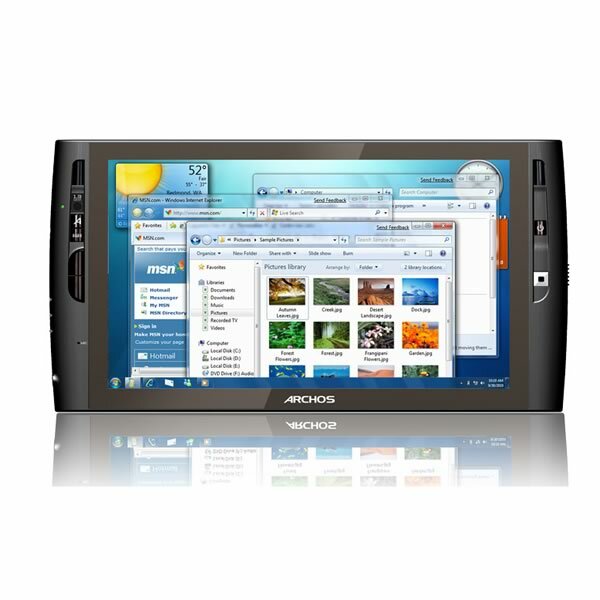 More info: See the Archos 9 PCtablet product page.